In this week’s installment of “Millennial Monday,” Express and OSU students surveyed Millennials, the majority of whom are working full or part time, to examine whether or not there is a soft skills gap between generations. There’s no denying that the current workplace features multiple generations of employers and employees. As the Baby Boomer generation looks toward retirement, Generation Xers continue on their career paths, and Millennials enter the workforce, many different age groups are brought together. In fact, according to our survey, the majority of Millennials (57%) work with people outside of their age group. 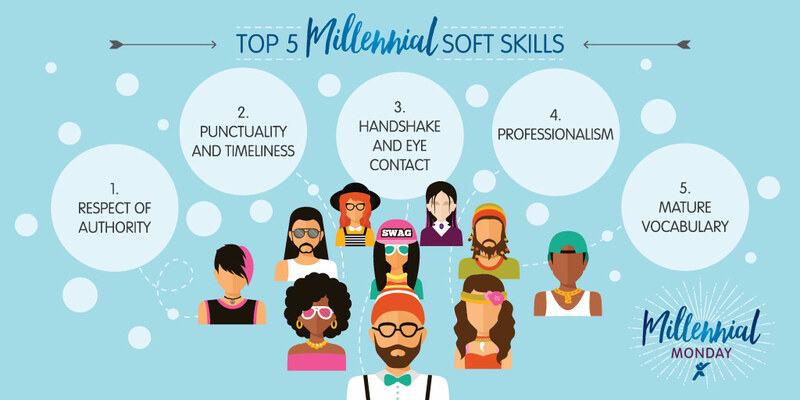 While Millennials ranked “mature vocabulary” fifth out of six skills, Non-Millennials ranked it third. Likewise, “respect of authority” was number one for Millennials, but fifth for Non-Millennials. What skills do you think your generation has to offer the workforce? What skills do you think your generation lacks? Share your thoughts in the comments section below! Previous Post Poll: How Have You Prepared for a Changing Workforce?